Editor&apos;s Note: As of 11/20/2012, Frank and Mary&apos;s Tavern closed. I realize that what I’m about to write may draw the ire of many Hendricks County visitors and residents (especially in Pittsboro, Indiana). But here goes: I was not a big fan of Frank and Mary’s Tavern, a 67-year Hendricks County landmark that built its reputation and following on its fried catfish. For me, that was part of the problem. I’m not a seafood eater. Never have been; never will be. But after we at the Hendricks County Convention and Visitors Bureau learned Frank & Mary’s had new owners; we had to do our due diligence. So, my boss, Associate Director Jaime Bohler Smith, and I headed up there last week to introduce ourselves to the new owners and learn more about their plans for the eatery. We heard some changes had been made, and some were very evident the moment we arrived. The interior and exterior of the old building at 21 E. Main St. on U.S. 136 in downtown Pittsboro had been spruced up. New attractive yellow awnings were the most visible of the exterior changes greeting guests at the front door. Inside, the building also has been freshened up with everything seemingly changed except for the historic wall plaque that depicts original owners, Frank and Mary Herring. The restaurant has new paint on the walls, new tables, chairs, tablecloths and chalkboards. The old benches that so many families remember as they waited for a table are gone as are the curtains and the outdated checkout counter, replaced by an original stove that doubles as a hostess stand and nostalgic piece of the old Frank & Mary’s. The changes to the building mirror the changes to the menu and the overall vision of Frank & Mary’s new owners, couples – Joe and Karen “Mimi” Boarini and Sean and Kelly McBride. 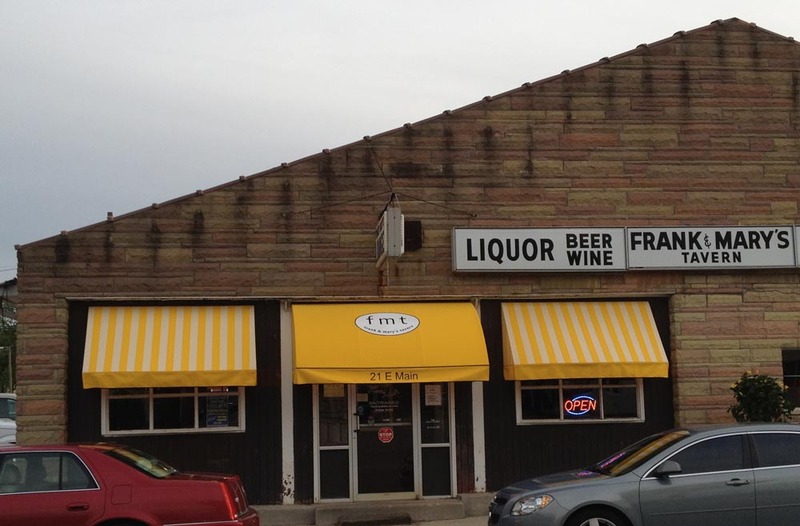 They want to keep a little of the old Frank & Mary’s while infusing it with a fresh, new palate. 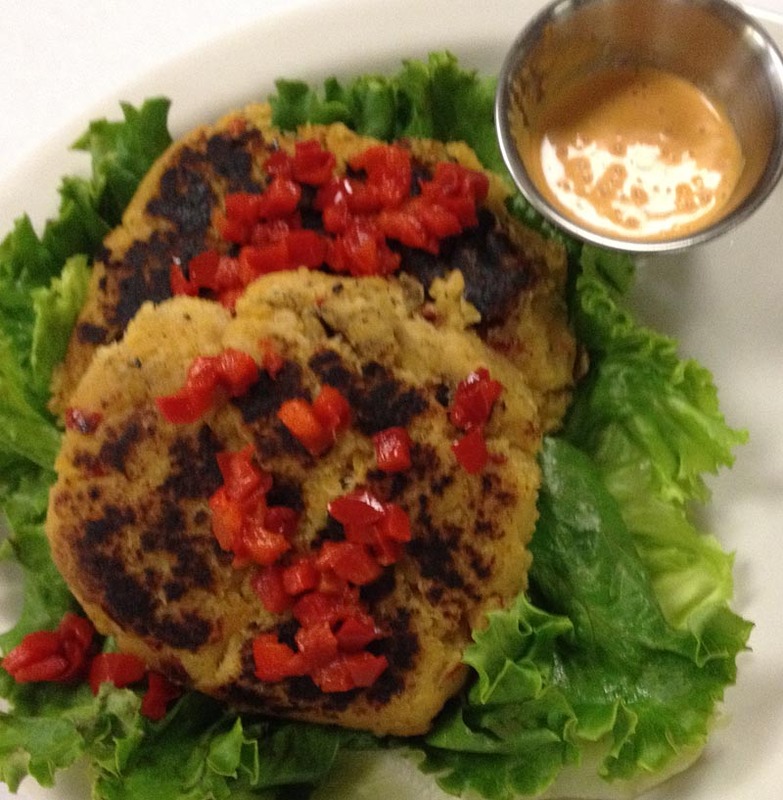 “We want to provide the community with those favorite dishes, while adding to the experience by going to a natural-foods approach,” said Sean McBride, Frank & Mary’s chef who was the former chef at Café Nora in Indianapolis. 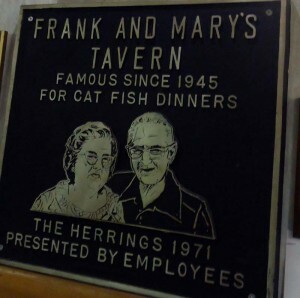 “We want to serve our customers with made-from-scratch dishes like we would serve our families at home.” So, they’ve kept some of the old recipes like the Herring family catfish recipe, but infused the menu with several made-to-order dishes that anyone who had been to the old Frank & Mary’s would never expect. How about a Po’Boy Hoagie with either butterfly shrimp or catfish nuggets and Zinger Roux sauce or a Berries and Balsamic Salad with mixed greens, seasonal berries, feta cheese, red onion rings, a berry vinaigrette dressing and your choice of grilled chicken or Genoa salami? But that only scratches the surface of the new Frank & Mary’s Tavern’s menu. They have various pastas, sandwiches, steaks and other surprises including a crab cake appetizer that was so good that this self-proclaimed, non-seafood eater went back for a second bite! I&apos;m becoming a fan. Be on the lookout for these special opportunities to check out Frank & Mary’s, its new owners and of course their food. Grand Re-opening: The new owners will celebrate the rebirth of the new Frank & Mary’s Tavern from noon until midnight this Saturday, June 23, with live entertainment and food. Zach DuBois, an up-and-coming young artist, will perform in the afternoon. TV Appearance: Frank & Mary’s are scheduled to join the Hendricks County Convention and Visitors Bureau on WISH-TV’s Indy Style show from 9 to 10 a.m. July 10. Taste of Hendricks County: Frank and Mary’s will return to this annual event along with a number of local eateries to showcase Hendricks County flavor from 5 to 8 p.m. July 12 at Primo West by Five Star Catering, 2353 Perry Road, Plainfield. Tickets are $25 in advance and $30 at the door and can be purchased by clicking here. For more information about the new Frank & Mary&apos;s Tavern, visit their Facebook page. They also are currently testing a new website, which should be up soon at www.frankandmarystavern.com.